Star Trek is as well beloved an independent, science-fiction property as Star Wars, and as such has seen its own fair share of franchise reinventions, spin-off series, and lovingly manufactured fan fiction, all made in the image of the original Gene Roddenberry creation of the late 1960s. The original live-action series has since spawned a grand total of five subsequent television programs and thirteen feature films, including an original animated series and the yet to be released Star Trek Beyond. That being said, one particular film to be produced in the spirit of the original Paramount Pictures and CBS owned property has drawn considerable attention and funding on Kickstarter and Indiegogo - where franchise producer Alec Peters and his team of professional filmmakers hope to draw the funds to make their Star Trek: Axanar. Unfortunately for Peters, the powers that be appear unwilling to let Axanar happen at all. Having already generated more than a million dollars through crowdfunding, Peters' new film has been seen as a violation of the Star Trek intellectual property, with THR reporting that Paramount and CBS are calling for an injunction against the independent production and have filed for damages relating to copyright infringement. According to the official complaint lodged on behalf of the two studios, Axanar would be "using innumerable copyrighted elements of Star Trek, including its settings, characters, species, and themes," if it were to go into production and subsequent distribution. Despite Peters' claims that "CBS has a long history of accepting fan films," he also claims that his script, which would have been a prequel to the events foretold in the original series episode, "Where No Man Has Gone Before," has likely "become so popular that CBS realizes that we’re just making their brand that much better." While the studios involved have allowed ample room for cosplayers and fan fiction writers to mine Roddenberry's universe in the past for novel points of narrative entry, it would appear as though a professionally made, crowdfunded Star Trek film would be going a step too far in their eyes. Well, it appears CBS knows that Axanar is exactly what fans want, because they are trying to shut us down! While Team Axanar will have a response shortly, know this DOES NOT deter us from what we are doing! Delivering to fans exactly what you want. Goliath, meet David (and his thousands of screaming fans)! Screen Rant will keep you updated on any future developments regarding Star Trek: Axanar. 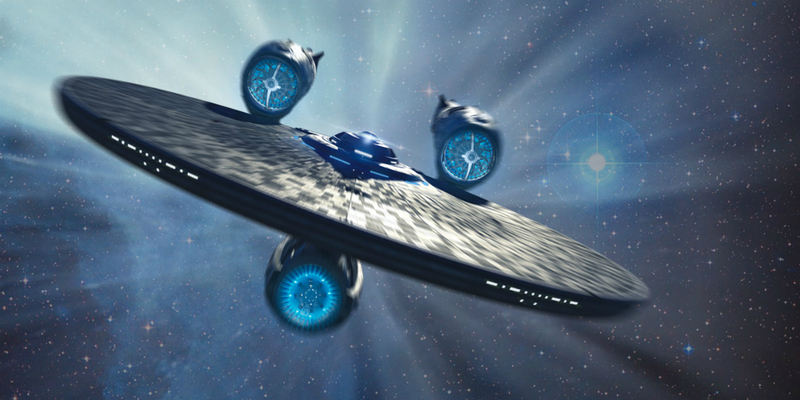 In the meantime, Star Trek Beyond opens in U.S. theaters on July 22nd, 2016.